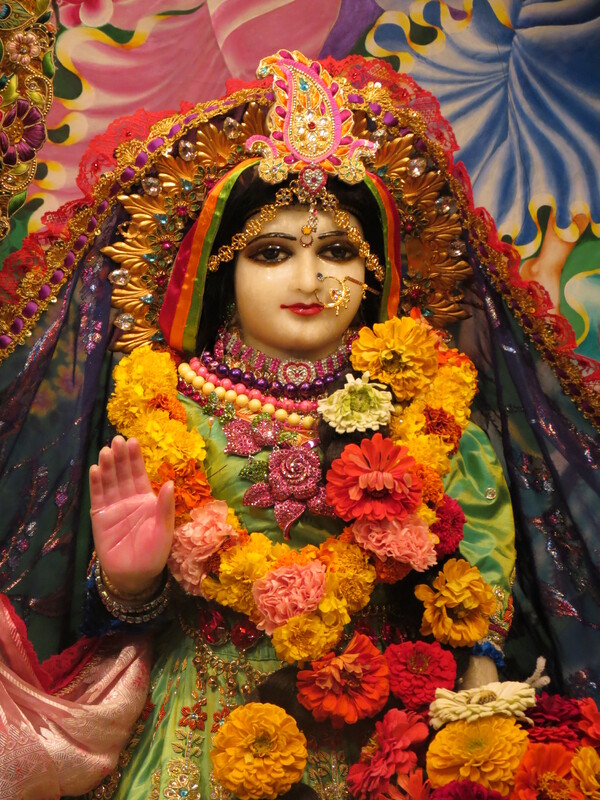 Today, being the most auspicious day of the appearance of Srimati Radharani, we honor the day with a half day fast, and anxiously await Her hour of appearance, at noon. 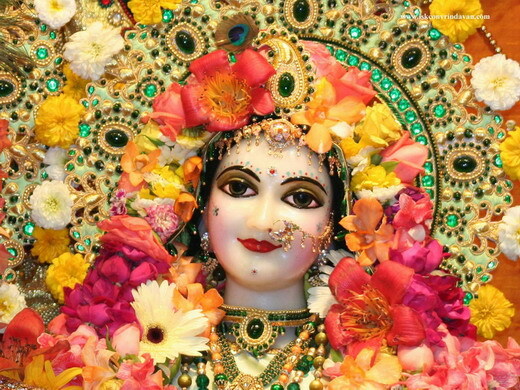 Lately, I have been absorbed in reading Sri Caitanya-caritamrta. For me it is a hard book to pick up, but after I begin reading…it is a hard book to put down. Sometimes it seems so esoteric (1 intelligible only to those with special knowledge. 2 intended only for the initiated), but I cannot help but to be thrown into complete and utter awe of the masterful writing, it seems to be Srila Prabhupada’s magnum opus (1 great work of art, literture. 2 the most important work of an artist, writer, etc.). Yes, I have the Oxford Dictionary open on my desk. The following is a Lecture given on this important verse, and the complete text. 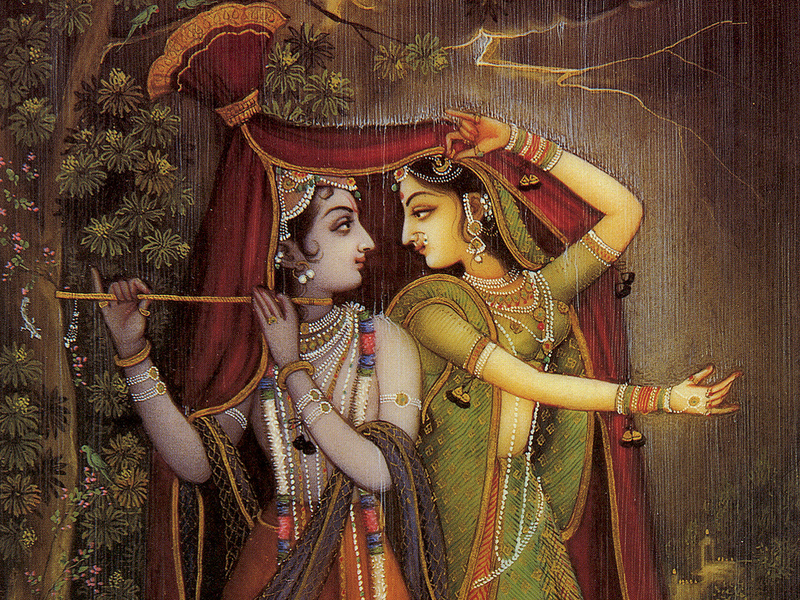 So today being the appearance day of Srimati Radharani, my mind has been absorbed in thoughts of Radha and Krsna. 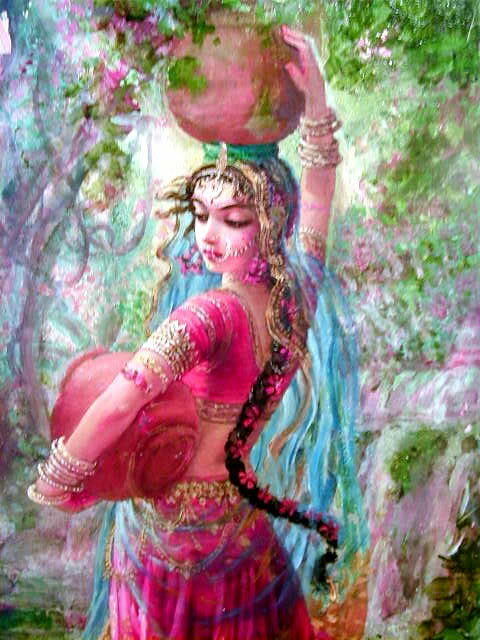 It is described that she is the beloved consort of Krsna, Krsna’s pleasure potency, and the spiritual energy of Krsna. 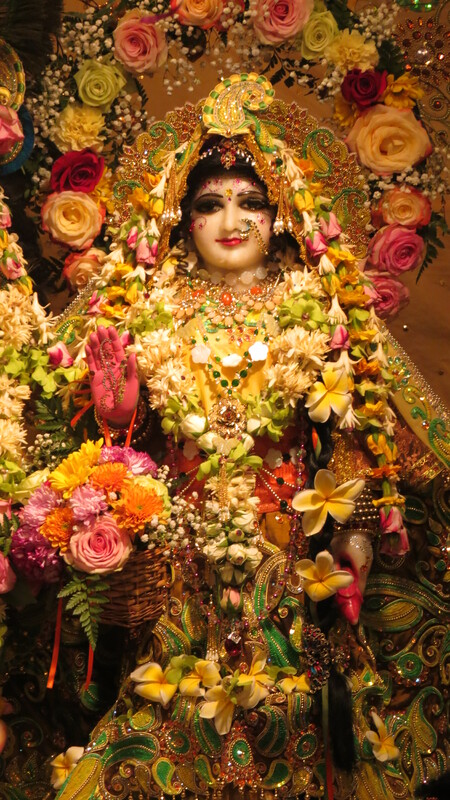 Today we honor the appearance day of Srimati Radharani (Radhastami). 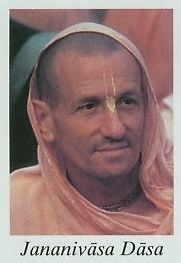 We share with you a lecture given by Srila Prabhupada, given on Srimati Radharani’s appearance day, in London, September 18, 1969. The following is a very beautiful verse from the Sri Caitanya-caritamrta, Madhya-lila 8.166, describing the beauty and fragrance of Śrīmatī Rādhārāṇī. 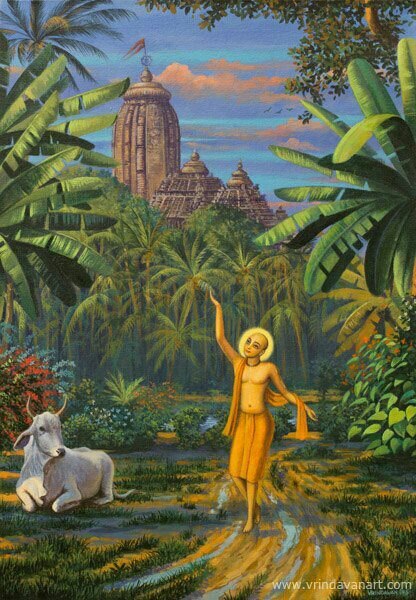 The purport is a summary translation of the Sri Premāmbhoja-maranda, a song composed by Raghunatha Dasa Goswami, which Kavirāja Gosvāmī quotes, and is given to us by Srila Prabhupada, as described by Śrīla Bhaktivinoda Ṭhākura. The full song follows the text and purport. Although Lord Kṛṣṇa is Madana-mohana, He becomes Madana-dāha, or enchanted by the beauty of Śrīmatī Rādhārāṇī. 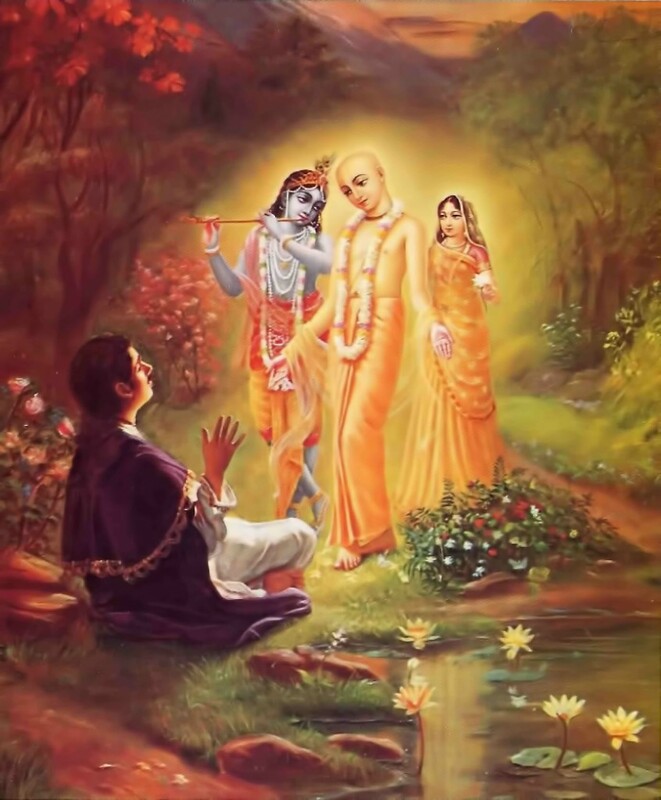 Lord Caitanya appeared for three principal purposes of His own. The first purpose was to relish the position of Śrīmatī Rādhārāṇī, who is the prime reciprocator of transcendental love of Śrī Kṛṣṇa. Lord Kṛṣṇa is the reservoir of transcendental loving transactions with Śrīmatī Rādhārāṇī. 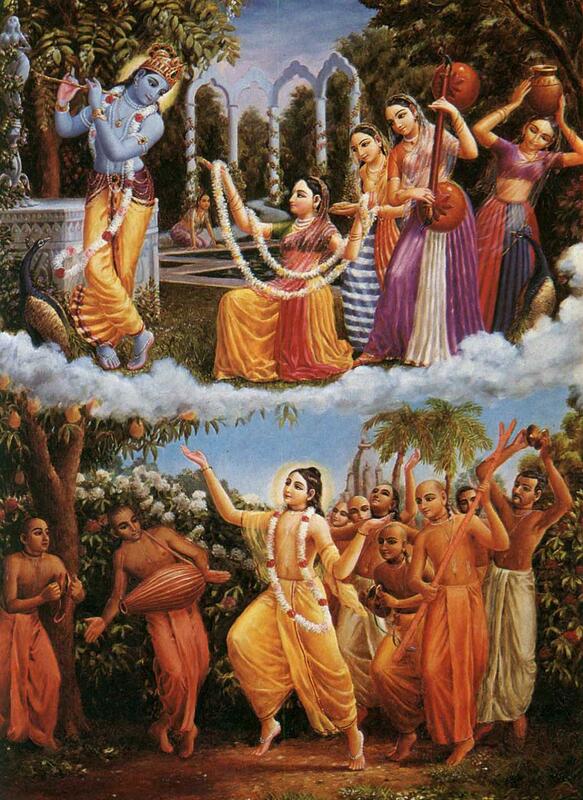 The third reason that Lord Caitanya appeared was to enjoy the bliss tasted by Rādhārāṇī…Kṛṣṇa is the transcendental male, and Rādhārāṇī is the transcendental female. Therefore, to know the transcendental pleasure of loving Kṛṣṇa, Lord Kṛṣṇa Himself appeared as Lord Caitanya, accepting the emotions and bodily luster of Śrīmatī Rādhārāṇī. In this chapter of the epic Caitanya-caritāmṛta, Kṛṣṇadāsa Kavirāja Gosvāmī has stressed that Lord Caitanya appeared for three principal purposes of His own. The first purpose was to relish the position of Śrīmatī Rādhārāṇī, who is the prime reciprocator of transcendental love of Śrī Kṛṣṇa. Lord Kṛṣṇa is the reservoir of transcendental loving transactions with Śrīmatī Rādhārāṇī. 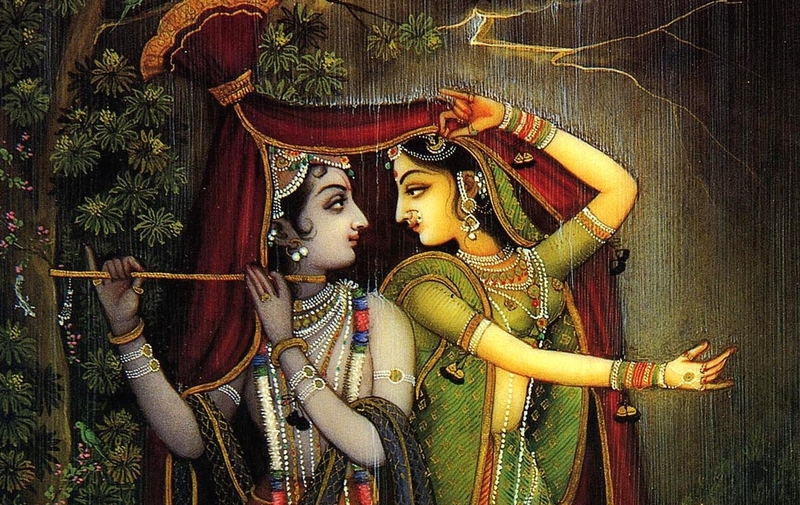 The subject of those loving transactions is the Lord Himself, and Rādhārāṇī is the object. Thus the subject, the Lord, wanted to relish the loving mellow in the position of the object, Rādhārāṇī. The second reason for His appearance was to understand the transcendental mellow of Himself. 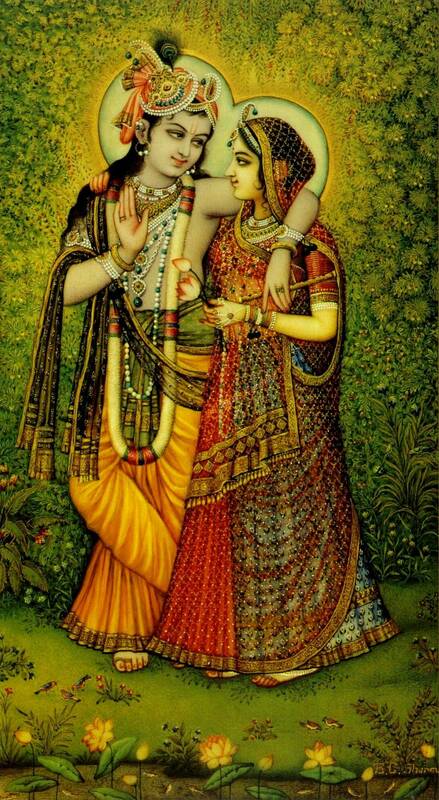 Lord Kṛṣṇa is all sweetness. 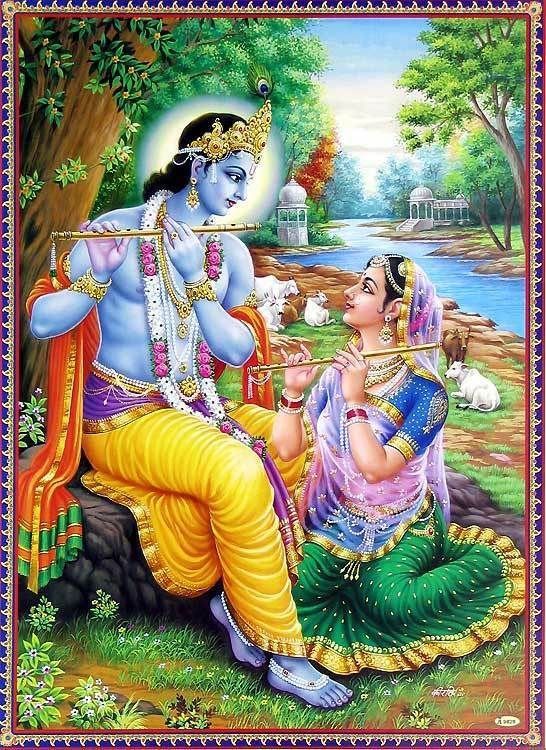 Rādhārāṇī’s attraction for Kṛṣṇa is sublime, and to experience that attraction and understand the transcendental sweetness of Himself, He accepted the mentality of Rādhārāṇī. 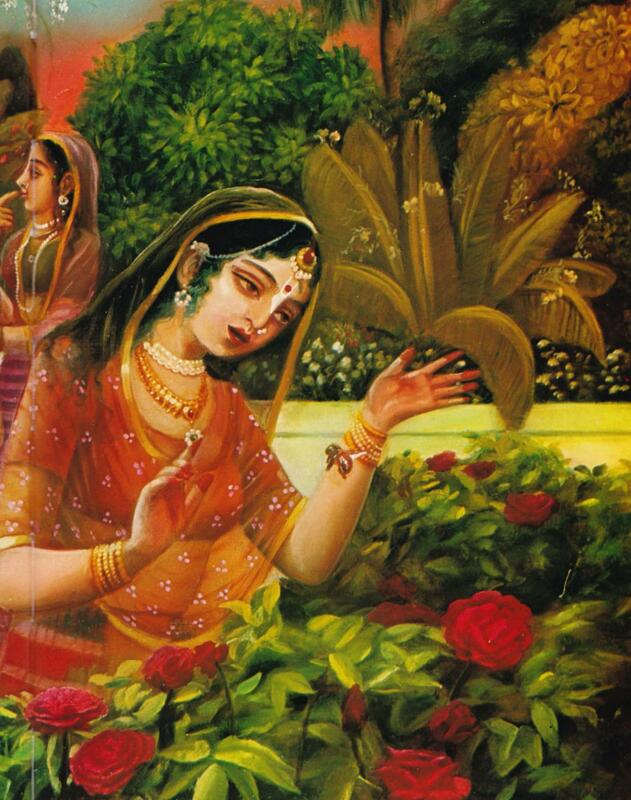 The third reason that Lord Caitanya appeared was to enjoy the bliss tasted by Rādhārāṇī. The Lord thought that undoubtedly Rādhārāṇī enjoyed His company and He enjoyed the company of Rādhārāṇī, but the exchange of transcendental mellow between the spiritual couple was more pleasing to Śrīmatī Rādhārāṇī than to Śrī Kṛṣṇa. Rādhārāṇī felt more transcendental pleasure in the company of Kṛṣṇa than He could understand without taking Her position, but for Śrī Kṛṣṇa to enjoy in the position of Śrīmatī Rādhārāṇī was impossible because that position was completely foreign to Him. 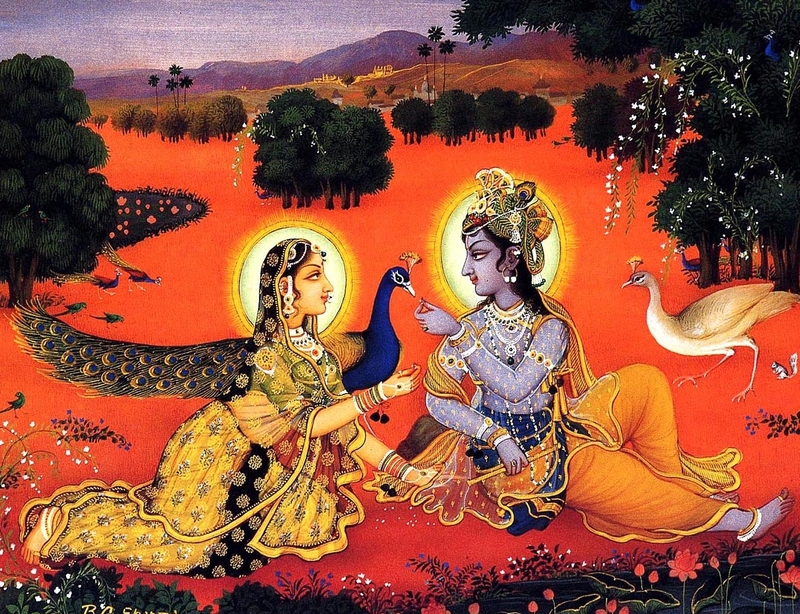 Kṛṣṇa is the transcendental male, and Rādhārāṇī is the transcendental female. Therefore, to know the transcendental pleasure of loving Kṛṣṇa, Lord Kṛṣṇa Himself appeared as Lord Caitanya, accepting the emotions and bodily luster of Śrīmatī Rādhārāṇī. 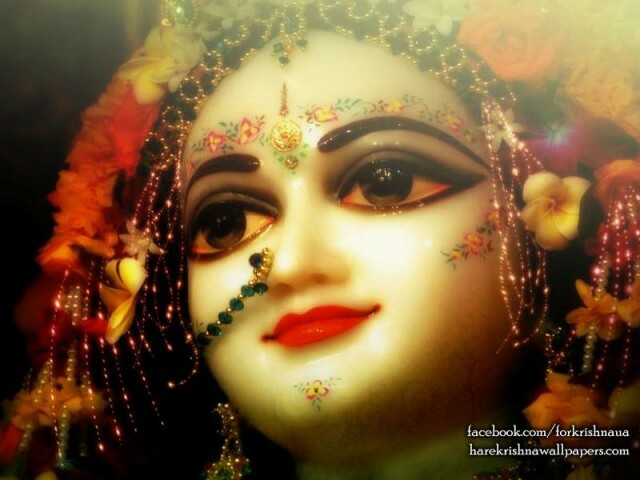 Lord Caitanya appeared to fulfill these confidential desires and also to preach the special significance of chanting Hare Kṛṣṇa, Hare Kṛṣṇa, Kṛṣṇa Kṛṣṇa, Hare Hare Hare Rāma, Hare Rāma, Rāma Rāma, Hare Hare, and to answer the call of Advaita Prabhu. These were secondary reasons. …If you want happiness, then you must learn how to love God. You are trying to love somebody, but you are being frustrated, foiled. Because except God, nobody is loving object. And if you love God, then naturally you love everything because God is everything. The example is that if you pour water on the root of the tree, it goes everywhere—to the twigs, to the leaves, to the flowers, everywhere. 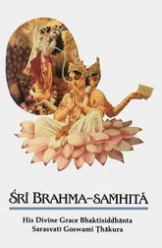 This very beautiful translation of “Sri Hamsadutta” by Srila Rupa Goswami, is the work of His Grace Kusakratha prabhu (ACBSP). Some of the literature, that Kuskratha Prabhu has translated, is so confidentially elevated that many devotees are not yet ready to grasp it. Nevertheless, these immortal works now stand as a vast body of reference material for the Vaisnava community to consult. 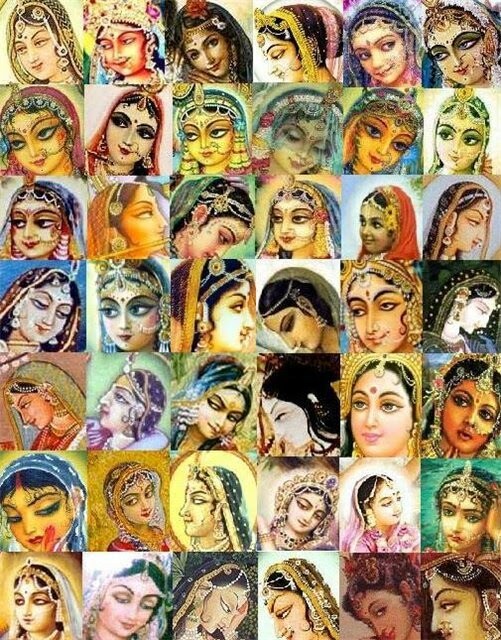 Aside from accurately transmitting the words of the acaryas, Kusakratha has also rendered thousands of pages of glorification of Krishna through his personal English poetic composition. Some of these compositions have been published though many have not, as of yet. More on Kuskratha Prabhu at bottom of post…but this is just a sampling of the Sri Hamsadutta before we post it here in its entirety. …When Kṛṣṇa and His devotees meet, the meeting is technically called yoga, or linking up with the Lord. Such meetings between Kṛṣṇa and His devotees can be divided into three classes-namely, perfection, satisfaction, and steadiness. When the devotee meets with Kṛṣṇa in great eagerness, that state of meeting is called perfection. At the heart of any Krsna conscious community are the Deities. 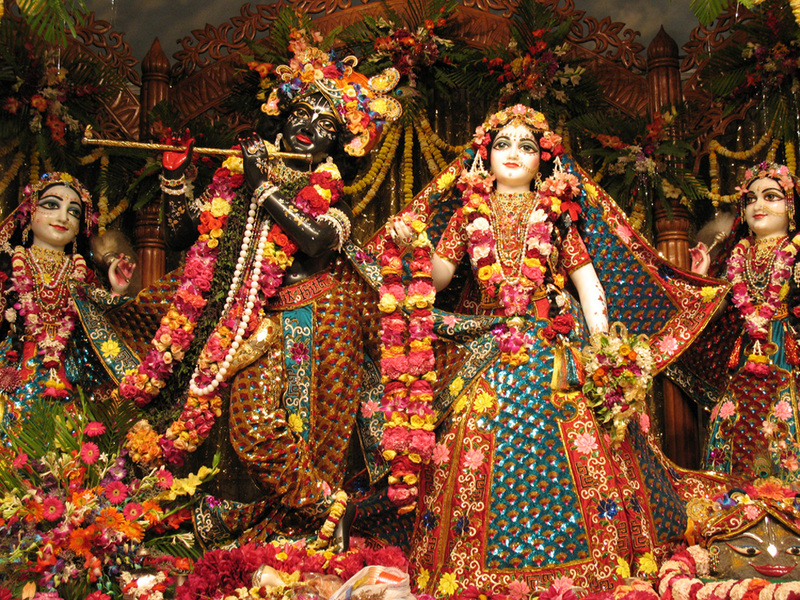 On the main altar of the Mayapur Chandro-daya Mandir (ISKCON’s temple in Mayapur) stand Sri Sri Radha-Madhava (Radha-Krsna) along with Radha’s eight intimate gopi (cowherd girl) friends. 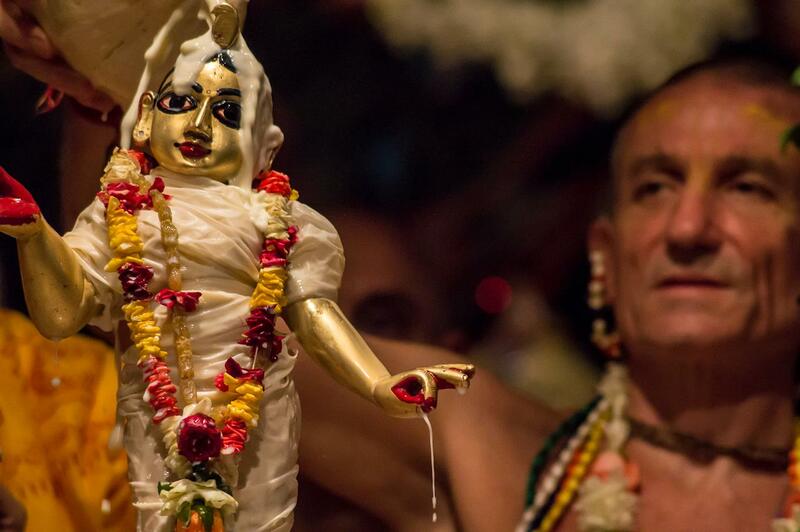 Overseeing the worship is Jananivasa Dasa, who has been serving the Deities in Mayapur for forty-one years. 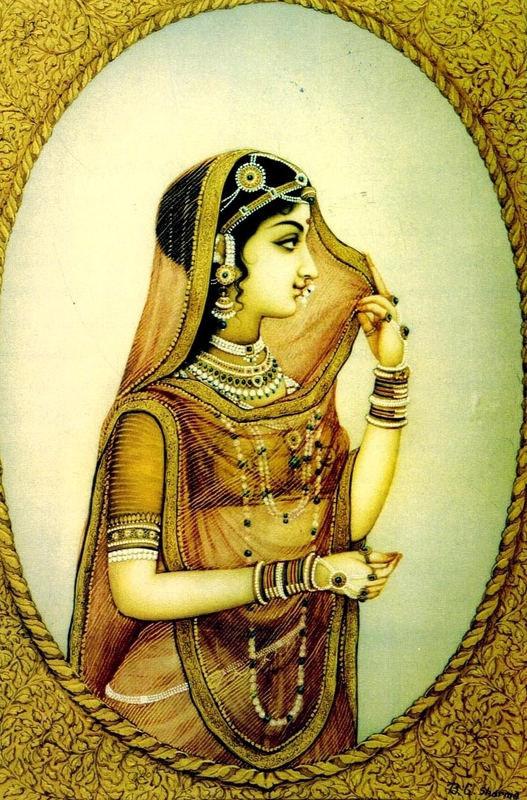 The following history of Radha-Madhava was adapted from an interview with Jananivasa conducted by Mahamaya Devi Dasi.